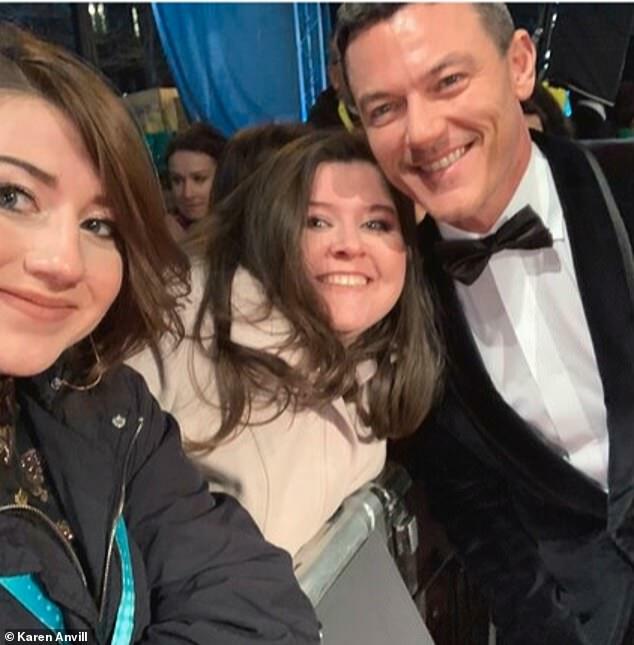 The single mother behind the famous ‘fab four’ picture taken at Sandringham on Christmas Day last year has revealed how her daughter got another stunning shot of Kate Middleton at the Baftas last night. Karen Anvil, 40, from Norfolk, shot to fame after capturing William, Kate, Harry and Meghan walking to church last year and claims to have raked in £40,000 from the snap. 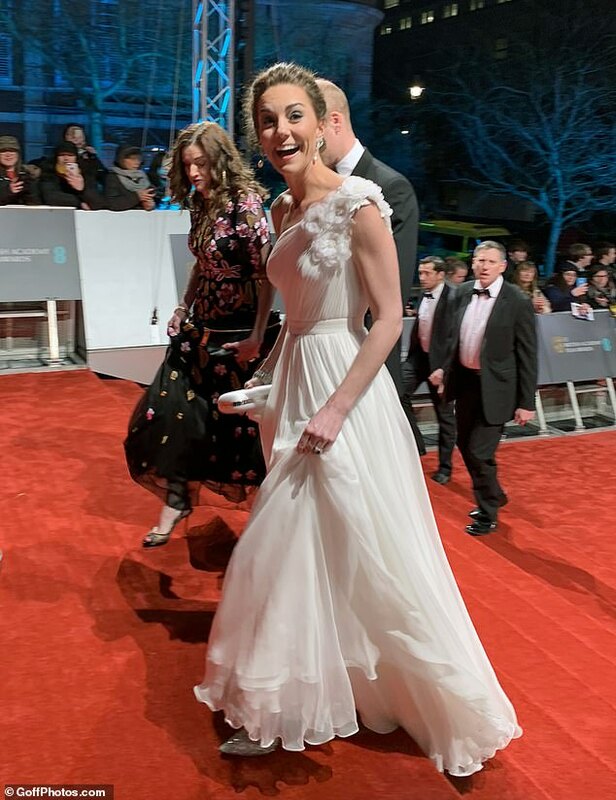 And now it looks as though her 18-year-old daughter Rachel is following in her footsteps, after she managed to capture an incredible image of The Duchess of Cambridge arriving at the 72nd annual EE British Academy Film Awards on Sunday. The picture, which quickly racked up 1,200 likes on Twitter, shows Kate laughing as she looks straight at Rachel’s camera, with Prince Willliam partially visible in the background. Speaking to FEMAIL, Karen revealed that they bagged red carpet tickets right next to the entrance door, and how Rachel, a trainee cancer nurse, caught Kate’s attention when she shouted: ‘I just want to say you look really beautiful’, with Kate turning to beam at her before replying: ‘Thank you so much’. The mother and daughter duo travelled to the awards in London, after Apple offered them a spot on the red carpet for the night. Speaking about their exciting evening, Karen said: ‘Usually I wear wellies and jeans but I dressed up in heels and dress for the occasion. ‘It was absolutely freezing and my feet are still killing this morning, but it was worth it! Describing the moment Prince William arrived with Kate, Karen continued: ‘They didn’t stop to speak to anyone but they were so professional and natural. Speaking about the Alexander McQueen off-the-shoulder white gown that Kate teamed with silver sparkling Jimmy Choo shoes, Karen continued: ‘She looked stunning, looked like goddess. ‘When you see her in flesh it’s amazing, no photo does her justice, she’s perfection’. Ms Anvil was one of hundreds who braved the cold to get a glimpse of the royal family as they walked to church on the Sandringham estate in Norfolk on 25 December 2017. After screaming to attract attention, Ms Anvil, who had two jobs at the time, snapped a candid picture of the ‘fab four’ that was quickly distributed to publications around the world – and has subsequently helped her rake in £40,000. Over the last year, royalties have brought Ms Anvil a regular monthly income of between £600 and £6,000 – and she said she’s earned enough money to clear her debts, take a year off work and ‘do up’ her council house. Revealing that she’s now training for her dream career in patient care, she said: ‘I’ve signed the rights of the photo over to Rachel as it was because of her we went to Sandringham. 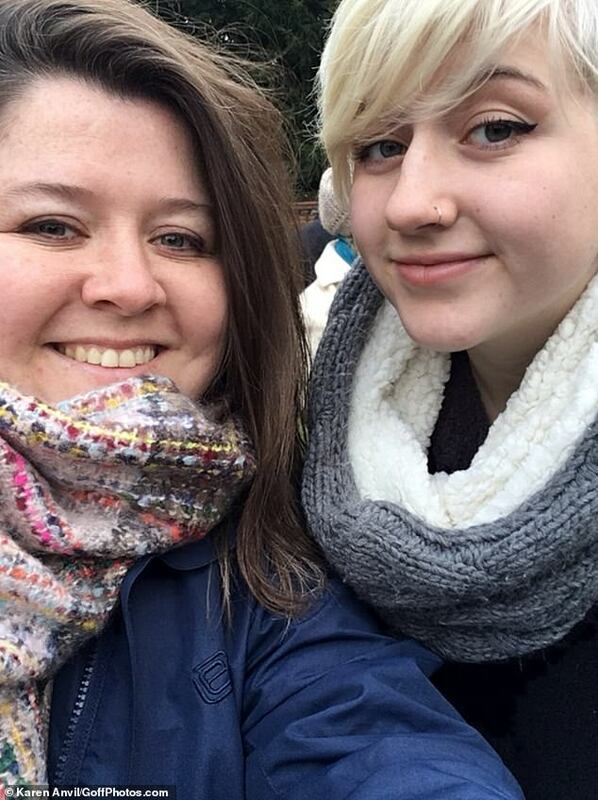 ‘I’d been in hospital with serious kidney problems just days before, and wouldn’t have gone if she hadn’t asked. ‘The money from the photo has helped secured Rachel’s future. I’ve never had help from her father, though he got back in touch last year and they’re building a relationship now. ‘We’re going on our first mother-daughter holiday to Turkey this year’. Speaking about her more recent picture of Meghan, taking at Sandringham last month, she commented: ‘It was very interesting as she was so much more nervous than in 2017. ‘You could tell she was nervous because all of the rift rumours, where she’s been painted as the bad guy. 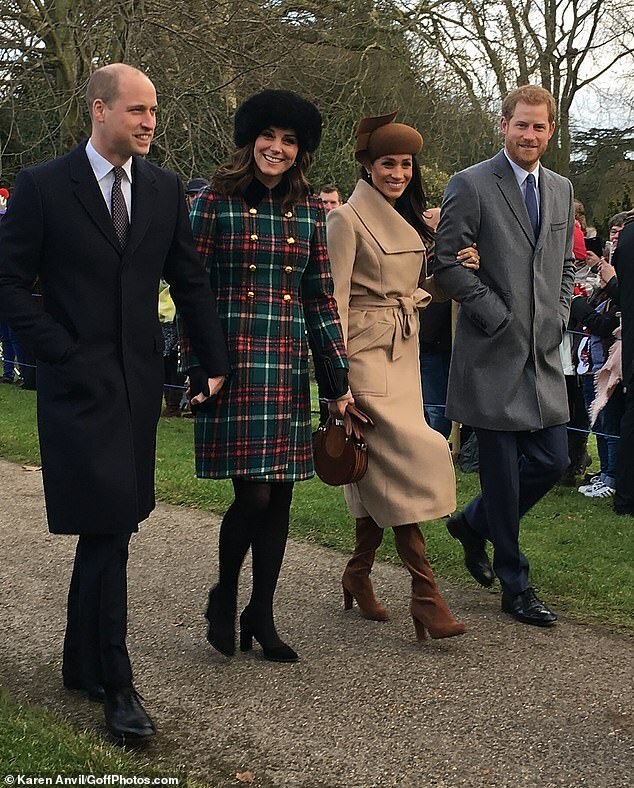 And admitting that she would consider a side job as a professional photographer, she added: ‘My ideal photo would be of Prince William, Kate and their three children walking to Sandringham next Christmas’. « Grammy Awards 2019: Who Won Huge?